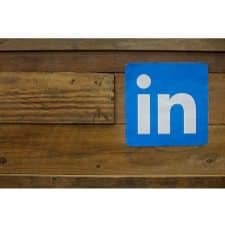 2018 Update: We still stand by this advice on the best LinkedIn settings — but you may also want to check out our latest discussion on LinkedIn, including how to get the most out of your LinkedIn profile in 2018. 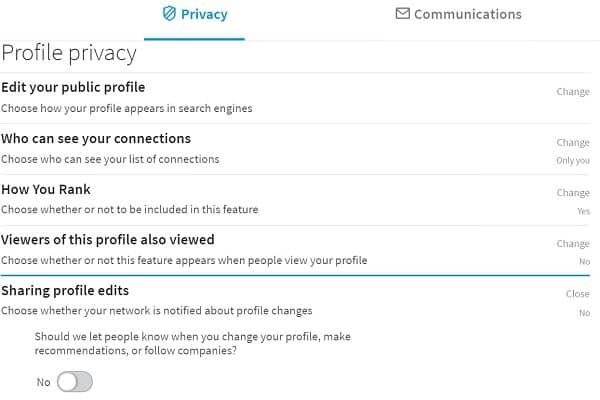 Whether or not you’re one of those people who complain that LinkedIn is turning into Facebook, it’s important to keep up with the site’s changes and new features and to always know what your privacy settings are. (By the way, if you don’t have two-step verification set up, which became an option in 2013, go do that right now.) 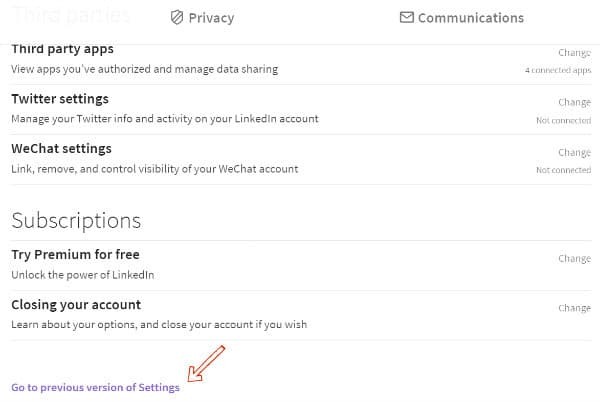 Have you noticed the recent changes made to the LinkedIn Settings page? It’s simpler and more streamlined, but you might find it harder to locate certain options you’ve used in the past. 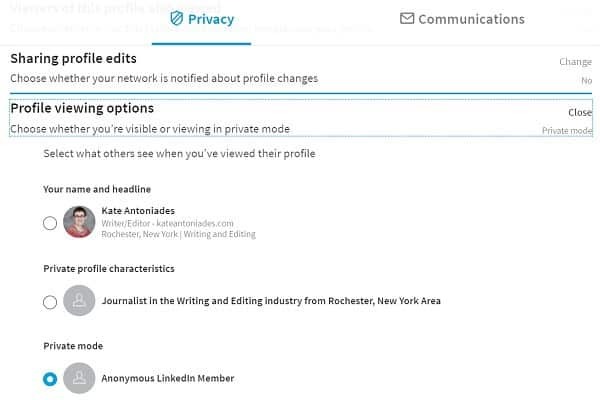 Now is a great time to make sure you’ve got the optimal Linkedin settings for privacy — especially if you’re looking for a new job. Pictured: linkedin, originally uploaded to Flickr by sue seecof. We’re not sure how long this will be an option, but if you want to go back to the old LinkedIn settings view, you can. Click “Go to previous version of Settings” at the bottom of the page after you navigate to “Privacy & Settings.” (You may have to enter your password again.) 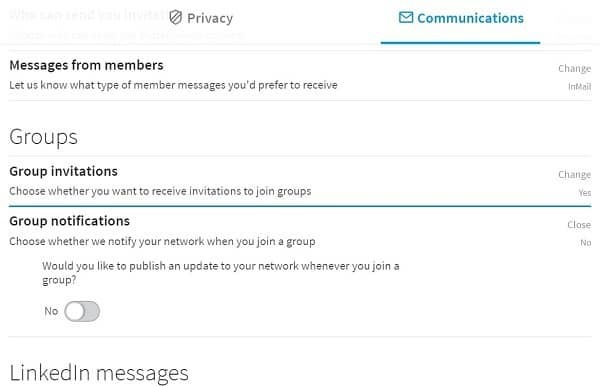 You’ll find both “Choose whether or not to share your profile edits” and “Select what others see when you’ve viewed their profile” in the Profile tab, as well as “Turn on/off notifications when joining groups” in the Groups, Companies & Applications” tab. What are the activities on Linked that you should let others see? 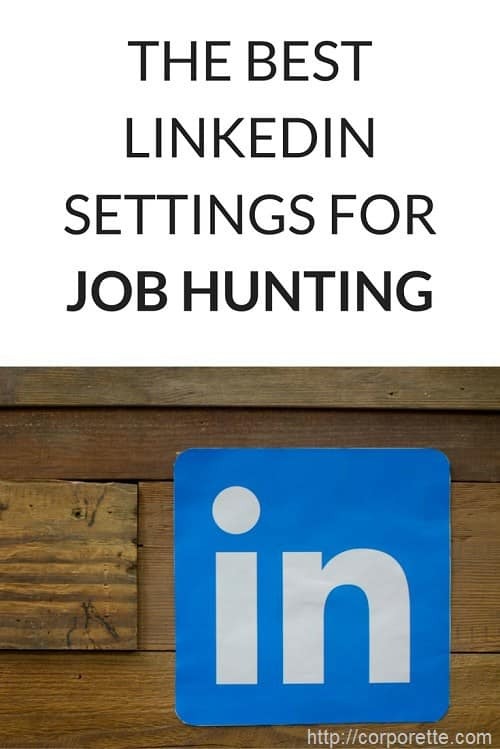 Have you changed your settings on LinkedIn before starting a job hunt? Have you ever made any mistakes that revealed more than you wanted to about your LinkedIn activity? How much do you actually use LinkedIn for networking and job searching? FYI – 2 step verification via SMS messaging is now under scrutiny for gvt agencies. Still probably better than just the password login, but not as foolproof as we typically think. Also, if your phone gets stolen (or lost) you cannot complete the 2-step verification to change your password, or to email someone on a borrowed computer when you can’t get into your house because your keys were also stolen with the purse n which your phone was located. Ask me how I know this. I’m not a fan of relying on my phone to allow me access to anything, whether it’s my email, my bank account, or grubhub. This is SUCH a great P’ost, Kat and Kate! I was thinkeing of p’osting my bio on linked-in b/c I am alway’s getting question’s about my background, so I figured I could just refer those peeople to my bio on linked-in, but now i am haveing second thought’s b/c of all of the Cyber stalkeing out there. Dad says the Russian’s probabley know my bra size (FOOEY on them–there are plenty of Russian women alot prettier then me they can OOOGLE) so I should be CIRCUMSPECT about who knows what about me. What does the HIVE do with Linked in? Should I p’ost my bio there? Help!